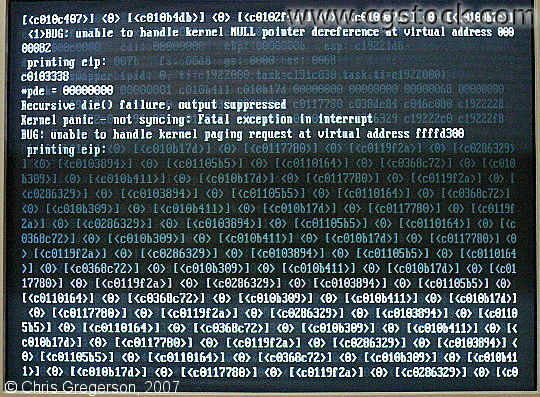 This text scrolled endlessly (just after Udev started) when booting Gentoo Linux. I got a different error with each boot, which I isolated to /sbin/udevtrigger (coldplug). The scrolling text begins with a reference to "recursive die() failure, output suppressed" and a kernel panic - not syncing.